Visiting London with children can be daunting, but luckily London has enough family friendly places to make even the smallest tourists happy. 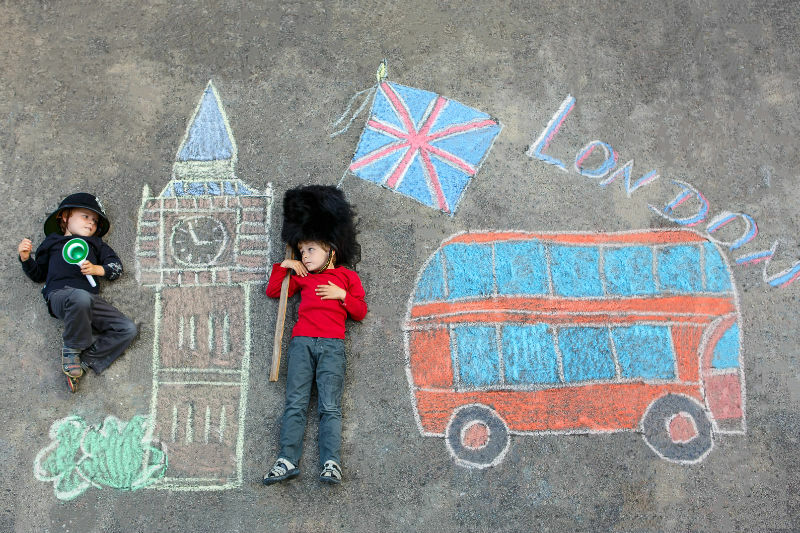 Whether you are looking for child-friendly restaurants, free attractions for kids, places to go with kids or ideas for your day out in London, family days out in London are easy to plan with London Top Sight Tours. London’s number one icon. The bridge opens and closes almost 1000 times a year (schedule posted online and at the bridge). The Tower Bridge Exhibition provides a history of the bridge and allows access to the bridge’s top walkway by way of an elevator. You can see the river below through the reinforced glass section in the middle of the walkway. You can also get a look at the steam-driven machinery that raised bridge for the first hundred years of its existence. This large, safe, outdoor play area is truly outstanding. The Diana Memorial Playground in Kensington Gardens, next to Kensington Palace, the former home of Diana Princess of Wales, is a fabulous children’s playground for kids up to 12 years old. It’s dominated by a giant pirate ship which children can climb all over, but there’s also a sensory trail, areas for climbing and exploring as well as swings and slides. Staff is on site at all times, and no adults can enter without children. Some kids find this a little dull, others love the pomp and tradition. The best place to see the guards is on The Mall, near St. James’s Palace. If your kids are small they won’t see much squashed in with the crowds at Buckingham Palace. There is also a Changing of the Guard at Windsor Palace (35 minutes outside of London by train) that sees far smaller crowds but offers more pageantry. Walk along the South Bank to London Bridge, and you’ll find one of the most iconic addresses in London, The Shard. The ultra-modern skyscraper’s 72nd floor is home to The View from the Shard, where you can take in the city’s landmarks from 800ft up. And this Autumn is a particularly good time to take the kids, with two new VR experiences to enjoy alongside the view. Visit a farm without ever leaving the City! London has many city farms and while most are free to visit, some welcome donations. Hackney City Farm has an award-winning cafe, as well as pigs, goats, sheep and more, but there’s also Mudchute Park and Farm, the largest urban farm in the London area with 34 acres of open parkland. Mudchute also offers horseback riding, a tea shop, educational facilities, farm animals, and a boutique. Other options work checking out include Kentish Town City Farm, which has a wide range of livestock, poultry, and horses, and offers pony rides, Vauxhall City Farm which has donkey rides, pony-care classes, and milking demonstrations, and Stepney City Farm, a more rural farm in the the East End. The Bethnal Green-based museum’s current exhibition is dedicated to the works of War Horse author Michael Morpurgo. Michael Morpurgo: A Lifetime in Stories (until 25th February 2018) includes items from Murpurgo’s own archives, as well as artworks inspired by his stories by some of Britain’s most beloved illustrators, puppets from the award-winning stage version of War Horse and an immersive soundscape, which brings Morpurgo’s work to life. During your adventure you’ll meet many characters (princesses and donkeys included), but as in all fairytales you may also encounter a witch or two, which some of our younger audience may find scary! Whilst there’s no age limit, we recommend Shrek’s Adventure! London for children aged 3-12 (and for those younger knights and princesses feeling especially brave). The London Dungeon is an interactive recreation of the gruesome parts of London’s 1000 year-old history. Costumed actors lead you through expertly created sets; you come face to face with King Henry VIII ordering the execution of his wife, Guy Fawkes of the Gunpowder Plot, a medieval plague doctor and the murderous barber of Fleet Street, and others. Creepy props, sound and light effects, plenty of audience participation, actors jumping out at you from dark corners and a ‘death drop’ ride make it suitable for older children only.